Thank you for reading and for your support of OlySports.com. 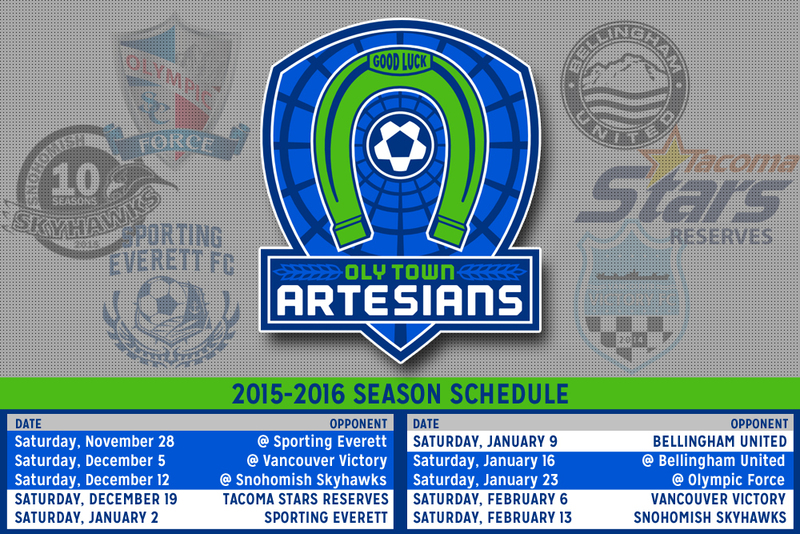 You can always browse the archive and follow Oly Sports on Twitter for updates. Megan Wiedeman made her senior season debut in style on Monday night scoring 19 points and pulling down 12 rebounds to lead Saint Martin’s to a 73-41 exhibition game win over Evergreen at Marcus Pavilion. Krista Stabler and Elin Johnansson each scored 17 points and the big three for the Saints combined to go 22-for-36 (61%) from the floor with 20 rebounds and seven assists. Evergreen, with just two returning players from a team that set the program record for winning percentage, tied the record for most wins and hosted a playoff game for the first time, was led by Peninsula College transfer Gabi Fenumiai’s 13 points and ten rebounds from Uriah Thomas. The Geoducks shot just 29.6% from the field and turned the ball over 22 times. The Saints head to Division I Eastern Washington on Friday night before returning home for another exhibition game against UPS next Tuesday. Meanwhile, Evergreen gets some time to get used to each other. 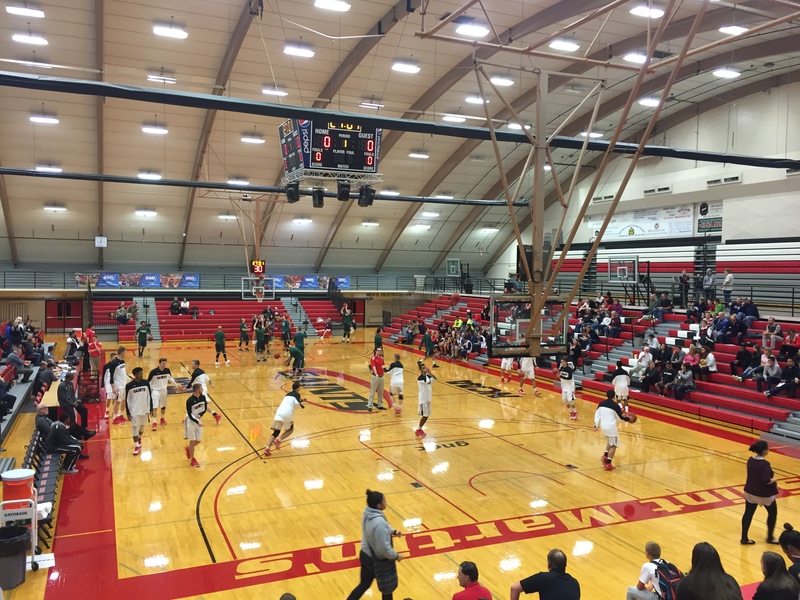 They won’t play again until November 20th at Division I Seattle University. Frankie Johnson’s three pointer with 14:11 left to play gave Evergreen a 54-49 lead over Saint Martin’s at Marcus Pavilion on Monday night. But over the next six minutes, the Saints went on a 16-2 run capped off by a three pointer by Trey Ingram that gave them an 11 point lead at 67-56. The Saints never allowed the Geoducks to within eight points after that and ran away with an 88-76 exhibition win. Seven foot newcomer Fred Jorg led the way for the Saints with 18 points with nine rebounds and three blocks and two other newcomers, freshman Michael Painter and junior Brandon Kenilvort added 12 points apiece. Trey Ingram struggled from the floor shooting just 2-for-10, but he dished out seven assists and pulled down eight rebounds to go along with his 10 points. Danny Powell scored 28 intensely tough points and collected seven rebounds for Evergreen against his former teammate and coach at Eastern Washington, Jorg and Alex Pribble. Brock Otis added 17 points but the Geoducks shot just 35.3% from the floor and were outrebounded 50-34. Evergreen led by as many as ten points in the first half. Donald Terry was fouled on a three pointer with 9:29 left in the first half and converted the four point play to build a 26-16 lead and a little over a minute later a pair of free throws by Ryan Quigley gave them a 28-18 lead. The Saints take a short break and will return to the court against Fresno Pacific on Friday, November 13th at the GNAC/Pac West Challenge hosted by the Saints at South Puget Sound Community College. Evergreen plays a scrimmage against Centralia College on Thursday at the CRC before hitting road for a game at Seattle Pacific on Saturday. Oly Sports took a weeks vacation but we are back tonight for week eight of the high school football season. The Pioneer Bowl is the obvious highlight tonight. Tumwater and Black Hills are both 7-0 this season and this will determine the 2A EvCo title. Can Black Hills pull off the upset? Stranger things have happened. John McGlamery and I will be in Shelton with the call of the homecoming matchup between the Highclimbers and Mount Tahoma. 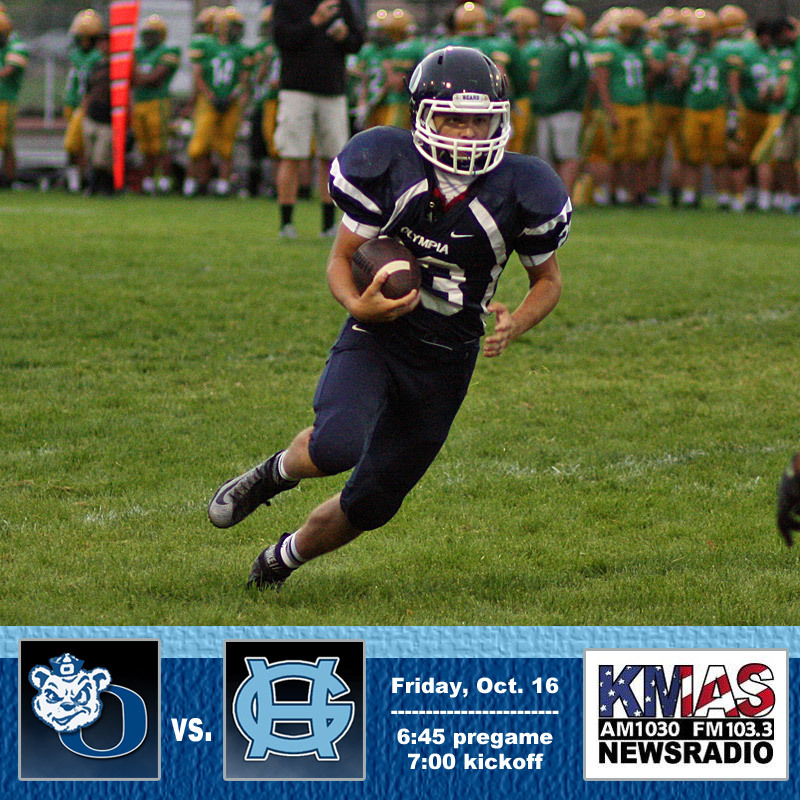 Pregame on 1030 AM KMAS and 103.3 FM begins at 6:45 PM with a 7:00 PM kickoff. Great night of football on tap tonight. The #3 team in 4A, Gig Harbor, comes to town to face the #6 team, Olympia, at Ingersoll Stadium. We will have the call on 1030 AM, 103.3 FM and KMAS.com beginning at 6:45. It should be a great game but the Bears will have to replace their star running back Scott Gunther, who was lost for the rest of the regular season at least with a collarbone injury against Stadium last week. A wild 90th minute ended when Kyle Witzel scored off of a corner kick with two seconds left to give Saint Martin’s an incredible 2-1 victory over Western Washington at the SMU Soccer Field in Lacey. 39 seconds prior, Luke Olney finished a rebound to draw the Vikings level with the Saints and it looked like overtime was in the cards. But the Saints marched down to the other end off of the restart and won a corner. With 12 seconds left, Kaleb Strawn took the corner and Jake Zimmer eventually found Witzel on the right side for the goal. Witzel also scored the first goal of the game in the 74th minute off of an assist by Austin Yon. 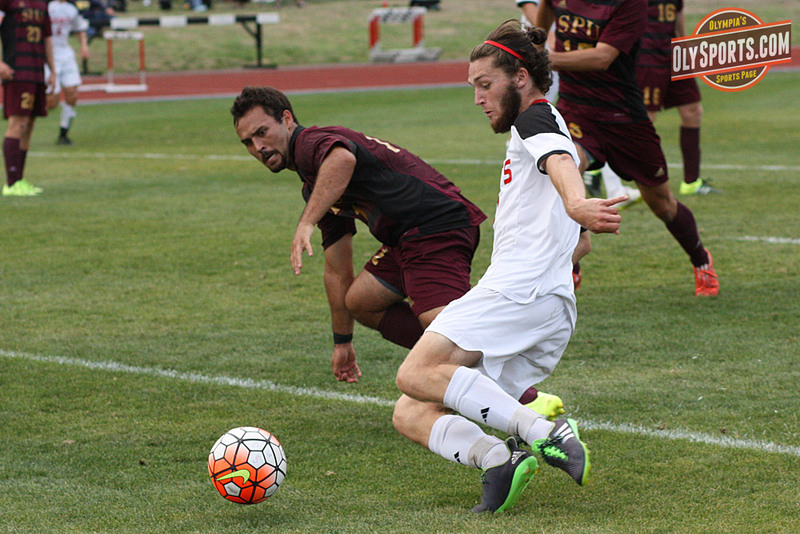 Witzel now has five goals this season for the Saints, who improved to 3-8-1 overall and 2-6-0 in the GNAC. Both of their conference wins have come over the Vikings and it is the first time in program history that the Saints have beaten Western Washington twice in a season. Ian Fry made his first start in goal and made seven saves for the Saints. Colton Paller ran for 212 yards and four touchdowns to lead the Shelton Highclimbers to a 38-21 win over North Thurston on Thursday night in Lacey. Paller has rushed for seven touchdowns in the last two games to lead the Highclimbers to a 3-2 record in the 3A Narrows League, half a game behind Wilson and Central Kitsap, who both play on Friday night. Shelton dominated the first quarter and a good portion of the second quarter building a 21-0 lead on a 16 yard touchdown run, a 14 yard touchdown run and an incredible 93 yard touchdown sprint by Paller. The Highclimbers gained 232 yards in the first half but only took a seven point lead into the break after Rams quarterback Jake Harn completed four passes of 20 yards or more in the last six minutes of the half. He hit Brandon Morgan for a 28 yard touchdown at the 2:55 mark and then threw a 20 yard strike to Devin Santos that got them down to the one. Quentas Ward punched it in from a yard out with seven second left in the first half to cut the Highclimbers lead to 21-14 at the half. Following a 32 yard field goal by Cody Bragg, Shelton extended their lead after quarterback Tyler Giraldes found Kyle Kimball on a slant pattern that he worked into a 40 yard gain and Paller did the rest covering the final ten yards in two plays for his fourth touchdown of the game and a 31-14 lead for the Highclimbers. Harn found Santos for a touchdown in the fourth quarter to get to within 10 points, but Shelton strung together a 10 play drive capped off by a Giraldes sneak for a one yard touchdown and a 38-21 lead that would stand up over the final four minutes of the game. 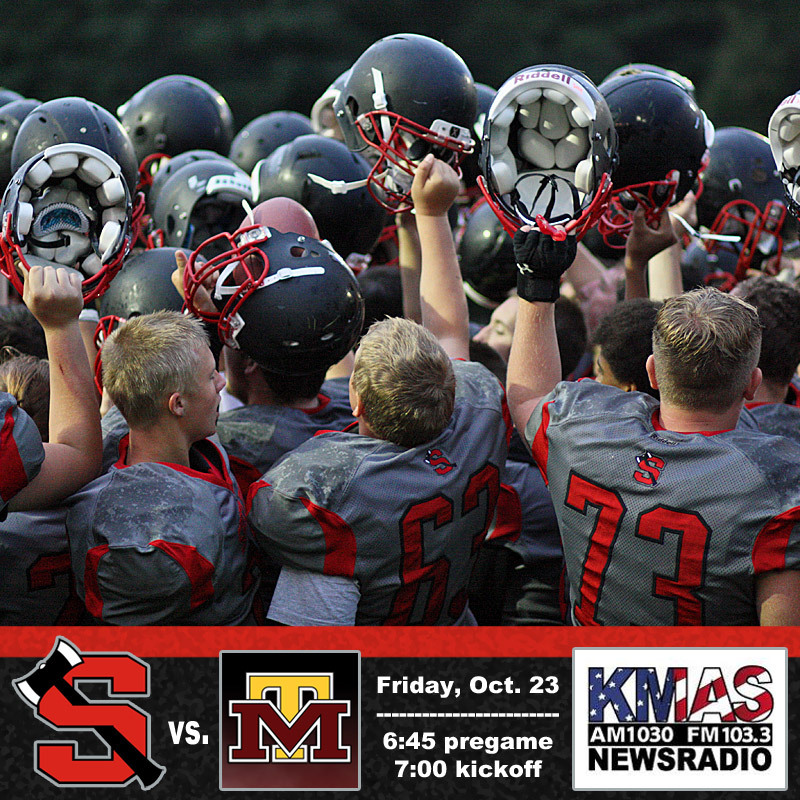 The 38 points was the most points scored by Shelton since they beat Mount Tahoma 42-0 on October 25th, 2013. Harn threw for 251 yards and two touchdowns in the loss. The Highclimbers improved to 4-3 overall and 3-2 in the 3A Narrows. Wilson and Central Kitsap are both 3-1 and tied for second place in the league but neither of them have played Lincoln yet with Central Kitsap facing the Abes on Friday and Wilson facing them one week later. 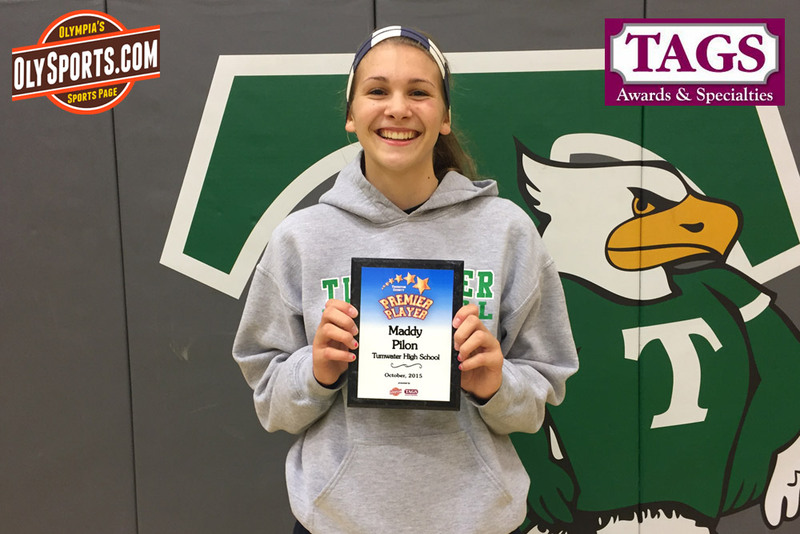 The defending state champion Tumwater volleyball team is off to another hot start at 9-0 in full length games and 3-0 in the 2A Evergreen Conference and Maddy Pilon’s all around presence on the floor for the T-Birds has earned her the trust of her coach and teammates and now the OlySports.com and TAGS Awards & Specialties Premier Player Award. Pilon racked up 23 assists in the state championship game against North Kitsap as a sophomore and has continued her phenomenal play this season. She has 108 assists through the first three 2A EvCo matches over the past two weeks including 36 assists in a three set sweep of Black Hills on Tuesday night. But it’s not just setting the ball for Pilon. She also is often second on the team in multiple other categories only behind the one player whose job it is to rack up those stats, as was the case this past weekend at the Capitol City Invitational where she was second on the team in blocks, second in digs and second in service aces and joined teammate Kennedy Croft on the all-tournament team. The setter on a volleyball team isn’t often in the limelight and sometimes goes unnoticed, but that doesn’t faze Pilon, who does the work to set up Croft and her other teammates for the kill. Sorry Maddy, but the Premier Player Award this week is all about you, and it is well deserved. Pilon and the T-Birds take a week off from league play before resuming their quest for the 2A EvCo title, a return to the state tournament and another state title. They have already proven themselves capable by knocking off the two top teams in the 4A SPSL and historic powerhouses, Curtis and Emerald Ridge, and came up just short of tournament wins at the Kent Classic and the Capitol City Invite. And tonight (Thursday, October 15th), they get another test when they face another undefeated team in Columbia River at 7:00 PM at Tumwater High School. After Tyler Tubbs hit Kaleb Bates on a five yard touchdown pass with 1:29 left to play, the Shelton special teams came up huge with a blocked PAT and the Highclimbers held on to a 28-27 win over league leading Central Kitsap at Highclimbers Stadium. Colton Paller scored three touchdowns in the first half for the Highclimbers including a 30 yard touchdown with 3:48 left in the first quarter. He added runs of five and six yards in the second quarter and Shelton built a 21-7 lead. The Cougars cut the lead to 21-14 after a pair of Climbers penalties kept the final drive of the first half alive. Tubbs threw his second touchdown of the first half with 39 seconds left, when Bates spun off a pair of Shelton tacklers and sprinted into the end zone for a 23 yard touchdown reception. After a scoreless third quarter, junior quarterback Tyler Giraldes extended the Shelton lead to 28-14 with a 23 yard strike to Marshall McCullough and everything seemed to be coming up Highclimbers when Skylar Ross picked off his second pass of the game mid way through the fourth quarter. But on the next play, the Central Kitsap defense recovered a fumble on the 13 yard line and four plays later, Isaiah McGee plowed in from one yard out to get the Cougars within seven points, 28-21. After a three and out, Tubbs hit Alika Sorano for an 18 yard gain followed by a 22 yard rumble by McGee to give the Cougars a first down and goal. Shelton stuffed McGee on two straight runs and forced Tubbs to throw an incompletion on third down before Tubbs found Bates on a quick slant for the five yard touchdown that got them to within a point. Shelton blocked the extra point, Central Kitsap kicked the onside kick out of bounds and Giraldes took a knee three times to preserve the 28-27 win and knock the Cougars out of the ranks of the unbeatens in the 3A Narrows League. The Highclimbers improved to 2-2 in league play and 3-3 overall while Central Kitsap fell to 3-1 in the Narrows and 3-3 overall. Paller rushed for 88 yards and three touchdowns and Willy Ruiz added 102 yards on the ground. Giraldes wasn’t asked to do a lot and was very efficient passing for 102 yards and a touchdown. Tubbs passed for 196 yards and three touchdowns for the Cougars. Shelton will face North Thurston, who are also 2-2 in the 3A Narrows, on Thursday night at South Sound Stadium at 7:00 PM. Central Kitsap gets a visit from the #3 team in the state, Lincoln, at 5:00 PM on Friday. Olympia 44, Stadium 6 | Bears 6-0, face Gig Harbor next week. 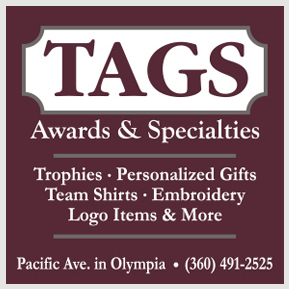 Black Hills 41, Port Angeles 0 | Christian Williams, 4 TD passes. Tumwater 49, Centralia 6 | Barret, Trakel, Jones with 2 TDs apiece. River Ridge 48, Washington 34 | Hawks remain unbeaten at 6-0. It took 76 minutes, but Juan Lopez and Tanner Williams each scored in the final 15 minutes of play to give the Geoducks at 2-0 win over the first year Southern Oregon program. Evergreen is now 5-1-0 in the CCC and 8-1-0 overall, their best start in program history. Geoducks goalkeeper Angel Guerra faced only two shots on goal, making both saves.